The extension line from Oslo to Cambridgeshire is clear as Famous Last Words (FLW) catches up with one of the UK’s leading exponents of wild and savage rock ‘n’ roll, Jack Rabbit Slim. 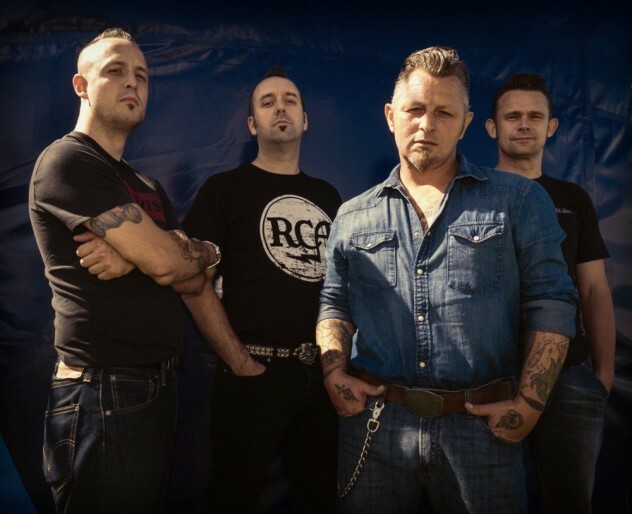 To be more precise, lead vocalist Bob Butfoy has opted to speak on the band’s behalf because, after all, he is the sole survivor of the original line up. That is not to suggest that Jack Rabbit Slim is governed by one perspective, quite the opposite in fact, as the new look Jack Rabbit Slim, comprising of Paul Scoulding (guitar), Darren Richards (bass) and Tony Hillebrandt (drums), is about full collaboration when it comes to its creative output. The resulting transformation of this new line-up has brought fresh vigour to not only lead figure Bob Butfoy, but also Jack Rabbit Slim’s brand new effort ‘Won’t Stay Down’ which, in our humble opinion, is quite simply their greatest hour. Such high praise is merited because the album is more cohesive as a whole as the different variations in styles and song ideas remain, but are reined in much tighter to the point that ‘Won’t Stay Down’ sounds like a modern rock ‘n’ roll record whereby Bob’s penchant for The Smiths and Morrissey is a welcome addition this time rather than a distraction, simply because the ‘indie’ influence gels and sounds comfortable with its fellow roommates. ‘Won’t Stay Down’ is definitely a record that has undergone a considerable amount of planning and research in order to meet the high expectations of all four band members before entering the recording studio. Such painstaking attention to detail also extended to the album’s artwork as Jack Rabbit Slim relegated themselves to the back cover and left (possible) glory to the unidentified pugilist gracing the front exterior. If ever there was suggestion of a major comeback on the cards, then Jack Rabbit Slim is on course to meet such a lofty objective having delivered phase one with ‘Won’t Stay Down’. Whether frontman Bob Butfoy of Jack Rabbit Slim is in agreement is a different matter altogether as Famous Last Words (FLW) is about to find out. 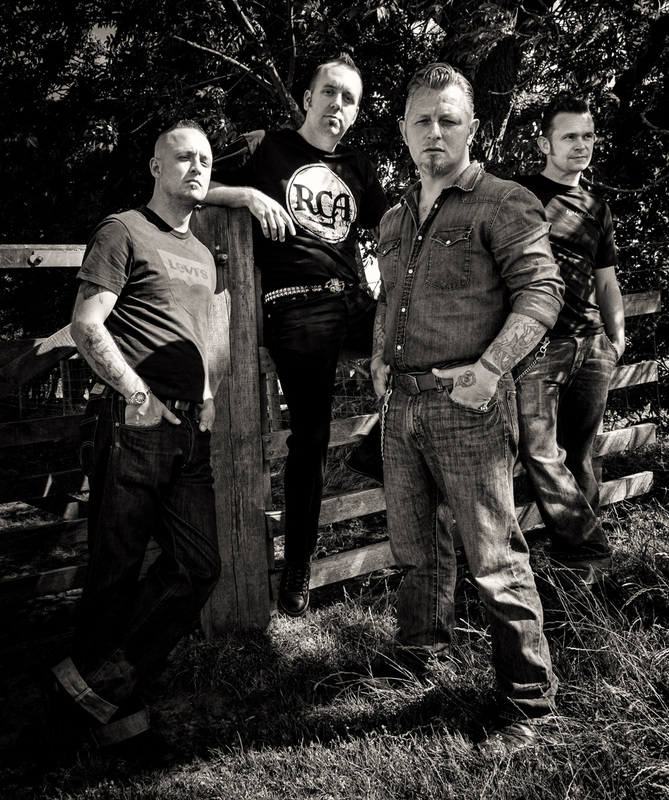 Latest album ‘Won’t Stay Down’ is an album bereft of rockabilly in its purest sense as Jack Rabbit Slim set their sights on fresh challenges, which the new formation has managed to bring to the creative table. Do you feel that the new album ‘Won’t Stay Down’ differs in any way to previous Jack Rabbit Slim long players? The difference in styles when it comes to a few of the songs on ‘Won’t Stay Down’ is noticeable, as Bob Butfoy explained, so much so that a cover to make Morrissey proud with their version of ‘The Loop’ sits snugly with the rest of the components of the album. The reason why such differences work is down to the new line up and their openness to fresh ideas such as the wah-wah pedal during ‘The Devil’s Bone’ or drumming up intriguing song titles with ‘Revenge Of The Puppets’ and ’10Ib Of Sad (In A 5Ib Bag)’; the latter of which dispossess of Jack Rabbit Slim’s more frivolous side and, in the process, allows for some introspection. With such transformations in the Jack Rabbit Slim camp, the word rockabilly is fast becoming a distant memory as the band look to continue their fresh assault on the nation’s senses. However, is Bob Butfoy slightly concerned that the band could risk alienating elements of their large fan base considering the years spent previously gigging the rockabilly circuit? Is the album title partly a response, therefore, to the ‘rockabilly police’ as you referred to them? Considering the different approaches prior to recording and during the album’s working progress, did the new album ‘Won’t Stay Down’ take a while to complete? That is rather impressive to record a full album in the space of one week, considering the attention to detail regarding ‘Won’t Stay Down’? What was the reason to release ‘Won’t Stay Down’ just before Christmas last year, as new album releases are generally not the norm before this seasonal period? As mentioned at the beginning of this interview, ‘Won’t Stay Down’ is Jack Rabbit Slim’s finest moment to date, but it remains to be seen whether Bob Butfoy is of the same opinion now the dust has had time to settle. The future certainly looks bright for the new look Jack Rabbit Slim as a plethora of gigs has already been confirmed in the tour diary that will see the band perform at one of California’s premier festivals later this year, but also a former residency at London’s The Blues Kitchen has been resumed after a considerable absence. Therefore, it’s no wonder that Jack Rabbit Slim has every reason to remain defiant in their quest to grow creatively as a unit when interest in their brand of rock ‘n’ roll remains equally fervent and rightly so. So many bands these days don't have their picture on the cover and I just wanted it to sit next to an Artic Monkeys album or something similar as I didn't want to pigeonhole ourselves." 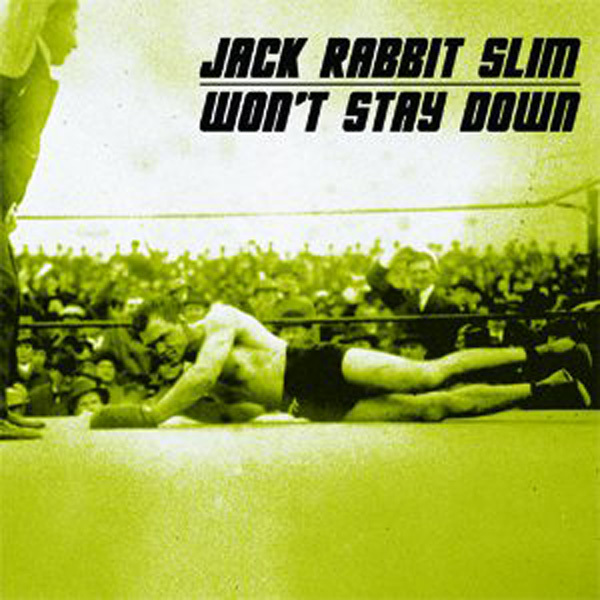 Bob Butfoy of Jack Rabbit Slim explains the reason for the band’s choice of album cover for ‘Won’t Stay Down’. We had to ask…’Revenge Of The Puppets’?